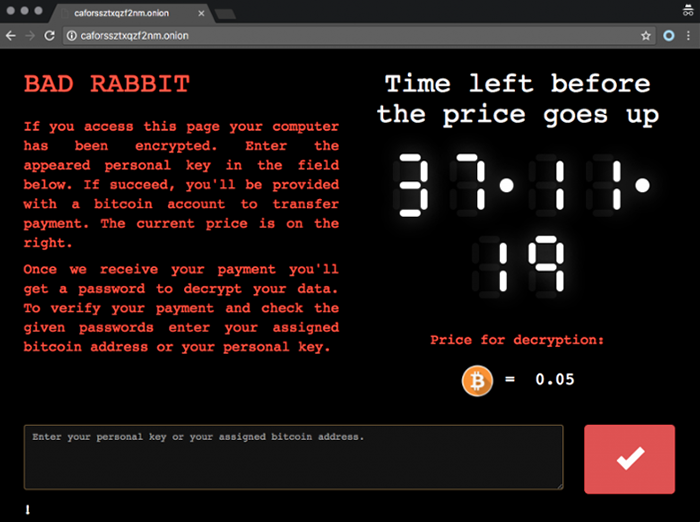 Beware of the destructive ransomware strain called Bad Rabbit, which cripples an infected host’s MBR, encrypts files and demands a ransom in Bitcoin. Ransomware isn’t a homogeneous concept. It can denote perpetrating code that encrypts individual files and holds them for ransom – in fact, that’s how mainstream ransom Trojans operate. There are blackmail viruses that call forth way more damage, though – ones like Bad Rabbit. This infection boasts a malicious repertoire broad enough to prevent the victims from accessing both their personal data and their computers altogether. It was originally discovered in late October 2017 as a threat to Russian, Ukrainian, Turkish and Bulgarian users and organizations for the most part. The baddie has considerably extended its geographic reach ever since. 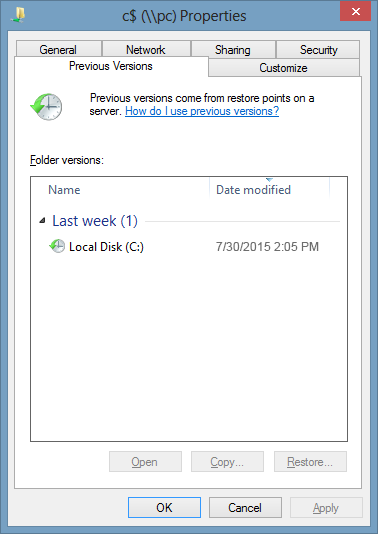 Bad Rabbit’s primary entry point is via drive-by downloads on hacked or malicious sites. For instance, the early wave of infections involved a rogue Adobe Flash Player update pushed on a compromised web page. 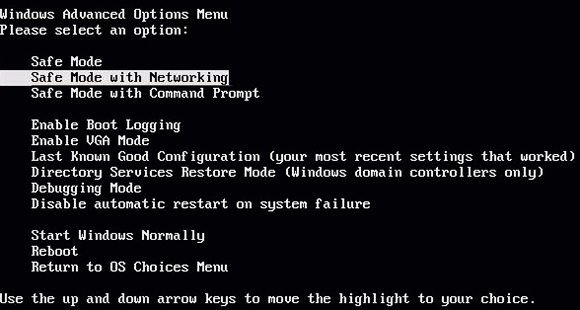 Once the booby-trapped file is downloaded and the ransomware is deposited on a computer, it triggers a self-spreading routine to proliferate across an enterprise network – if that’s the case – by abusing SMB (Server Message Block). Interestingly, the pest attempts to crack the victim’s credentials by leveraging an open-source utility called Mimikatz. Another noteworthy fact about the Bad Rabbit ransomware is its use of the leaked NSA exploit codenamed EternalRomance for massive propagation. 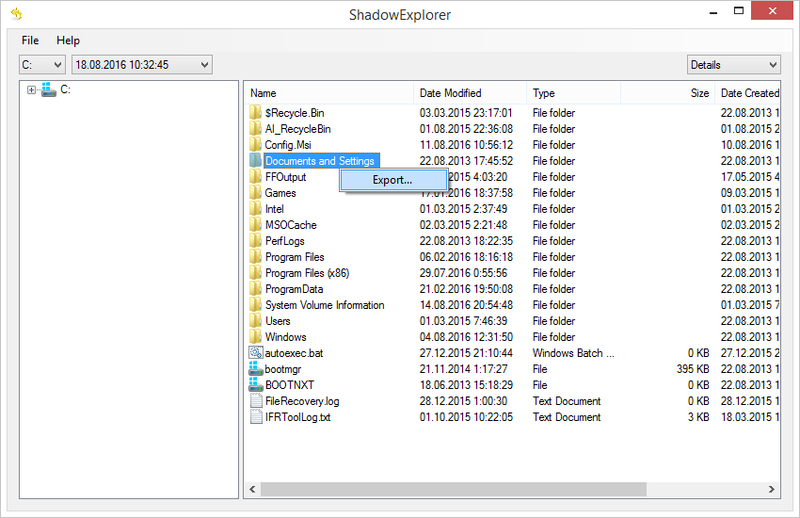 When up and running inside a compromised Windows machine, the Trojan looks for files with dozens of specific extensions in order to get the list of data items potentially most valuable to the victim. Every such entry is encrypted using AES cipher, and the encryption key is further encoded with an RSA-2048 public key. While filenames stay unaltered, the hostage objects are assigned a new file marker – the “encrypted” string. Next, Bad Rabbit conducts full disk encryption, replaces the Master Boot Record with a different one, and reboots the computer. From that moment on, the infected user will be unable to use their machine. It will be stuck at a screen with the ransom note that says, “Oops! Your files have been encrypted. If you see this text, your files are no longer accessible. 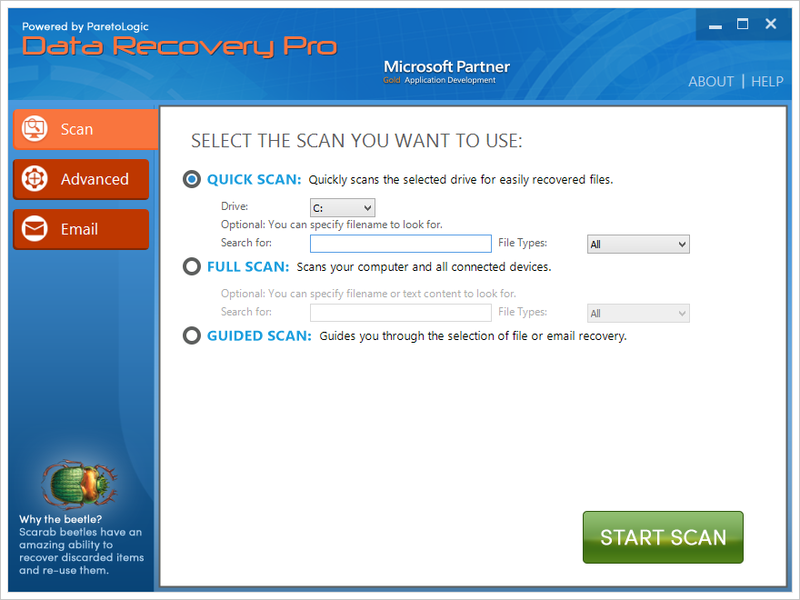 You might have been looking for a way to recover your files. Don’t waste your time. No one will be able to recover them without our decryption service.” The message also includes the victim’s “personal installation key” and the address of the Tor page designed for accepting ransoms. The web service that the victims are instructed to visit displays the size of the ransom, which is 0.05 Bitcoin, and the amount of time left before the price goes up. To proceed with recovery, the user is supposed to enter their personal key on that page in order to get their unique BTC wallet address for payment. 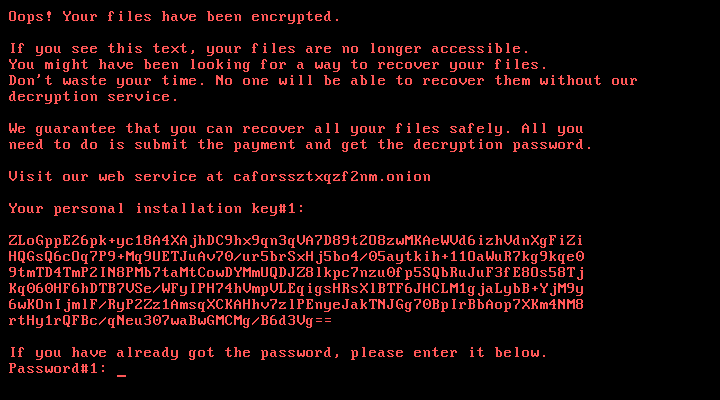 The Bad Rabbit Ransomware shares quite a few characteristics with NotPetya virus, which broke out in June 2017. Both use a similar design of the ransom notes and payment pages, plus their distribution techniques involve SMB protocol abuse and the harnessing of NSA exploits. In fact, analysts have discovered that the two are operated by the same cybercriminal group hailing from Russia. However, there is a fundamental difference. Whereas NotPetya was made solely for sabotage and didn’t offer its victims any recovery options at all, Bad Rabbit is its ‘commercial’ counterpart whose operators seek financial gain as it does provide a viable decryption functionality. Instead of following the perpetrators’ instructions, though, it is recommended to use the steps below and thus try to reinstate the data. 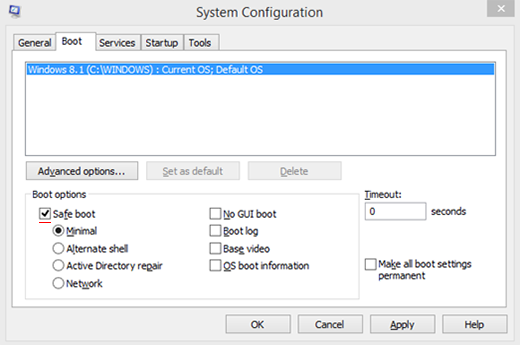 First, use a bootable rescue CD/DVD or USB in order to be able to access the system and commence the troubleshooting. The following sections will walk you through the rest of the procedure. Some ransomware strains terminate themselves after completing the encryption job on a computer, but some don’t. Furthermore, the Bad Rabbit blackmail virus may prevent victims from using popular antimalware tools in order to stay on board for as long as possible. 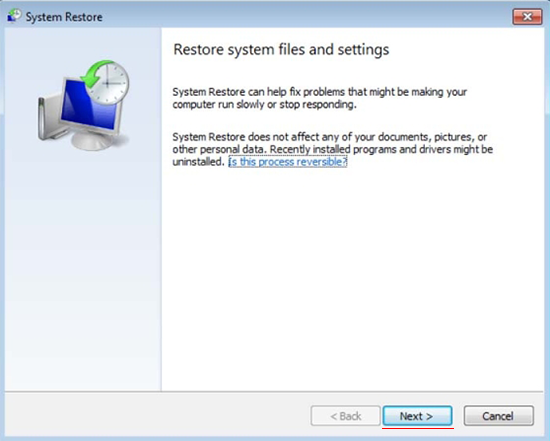 Under the circumstances, it may be necessary to utilize the Safe Mode with Networking or System Restore functionality. Not only are you a lucky person in case you’ve been backing up your most important files, but you’re also a wise and prudent user. This isn’t necessarily a resource-heavy activity these days – in fact, some providers of online services are allocating a sufficient size of cloud storage space for free so that every customer can easily upload their critical data without paying a penny. Having removed the Bad Rabbit ransomware, therefore, all you have to do is download your stuff from the remote server or transfer it all from an external piece of hardware if that’s the case.